Trend of stellar outcomes continue to demonstrate a significant return on investment. The Stevens Institute of Technology Career Center released its Career Outcomes report for the Class of 2016. The impressive numbers show a steady trend of success for Stevens graduates in securing highly competitive employment opportunities and admission into prestigious graduate programs – 22 percent of the Class reported continuing their education post-graduation. Stevens graduates are in high demand. Of those seeking employment, 96 percent finalized their plans within six months of graduation, a testament to the real-world skills and technology-driven insights that are at the core of a Stevens education. The Class also reported a record-high average starting salary of $67,100, which represents a 7.9 percent increase from the average starting salary reported in 2011. The first-destination data of the most recent graduating class demonstrates why Stevens continues to earn recognition as one of the nation’s top institutions for securing a remarkable return on investment. Salary consultancy PayScale ranked Stevens 12th in the nation for 20-year net return on investment, with financial aid, for graduates in its 2016 College ROI Report. CNBC also named Stevens 5th in the nation among "the 13 U.S. colleges where students go on to earn the most money." Named by MarketWatch in 2016 as one of the top schools in the nation for getting women into STEM careers, Stevens continues to distinguish itself as an institution known for its ability to place women in well-paid, competitive positions. The women of the Class were highly recruited, with a record-setting 99 percent having secured their first destinations within the six month post-graduation timeframe. Noelle Mulligan ’16, who graduated with a bachelor of science in mechanical engineering, cited the career opportunities available to her through Stevens as being instrumental in preparing her for a career at Johnson & Johnson as a GOLD Associate, Metrology Engineer. “By participating in the Co-op Program, I was able to gain valuable work experience that not only helped prepare me for full-time employment, but also allowed me to discover what I was passionate about,” said Mulligan. “At Stevens, I was challenged in the classroom, in the workplace, and as a student athlete. These experiences have provided me the preparation that I will carry with me throughout my career,” Mulligan added. 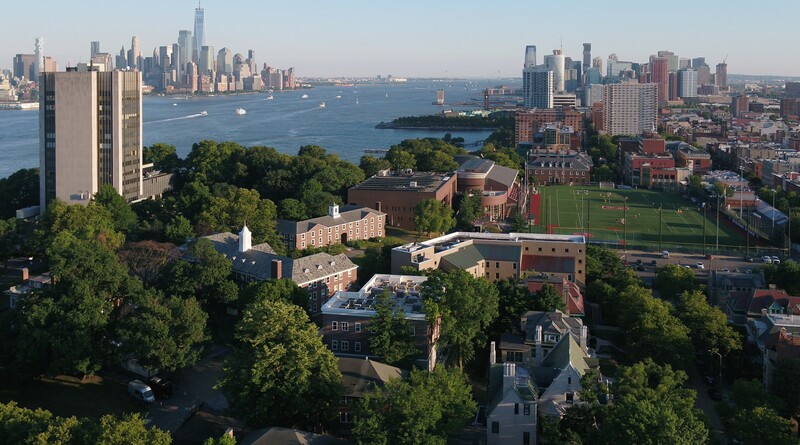 Stevens’ remarkable career outcomes are the result of a combination of its rigorous academics, which provides students with broad-based technical skill sets, as well as the numerous opportunities, access, and support services provided to students as they pursue their career goals. The Princeton Review recognized Stevens’ stellar career placement, ranking it 6th in the nation in the 2016 edition of Colleges That Pay You Back: The 200 Schools That Give You the Best Bang for Your Tuition Buck. The Stevens Career Center hosts three annual career fairs, attended by some of the nation’s top employers, including Verizon, Goldman Sachs, Turner Construction and Ernst and Young, and many more. The career fairs are just one of many events and programs the Stevens Career Center organizes during the academic year that connect students with employment opportunities. The office provides individualized guidance by professional career counselors, workshops and seminars, and other employer events on campus throughout the year. Alexander Mendonez ’16, who graduated with a bachelor of science degree in pure and applied mathematics, went to work for Sun Life Financial as an actuarial analyst. Mendonez credits the Career Center staff members for providing the personalized support and guidance needed to jump-start his career. “Being able to drop in at any time and consult with experienced career advisors has given me confidence and insight necessary in building my actuarial career. Despite my niche career goals, the Stevens Career Center has been very helpful with all of their advice, workshops and connections to the industry,” Mendonez said. First destination information for the Career Outcomes report was solicited from members of the Class from September 2015 through November 2016 by means of surveys, email correspondence, and in-person advising meetings. These methods, used to obtain reliable outcomes information for students’ post-graduation plans, resulted in a knowledge rate of 91 percent for this year’s report. To learn more about the outcomes of Stevens graduates and the Stevens Career Center, visit stevens.edu/careercenter.